I thought it might prove quite tricky, yet several of you managed to work out what it was and which animal it came from. Jake spotted that it was from a young animal – as you can see from the unfused ends of the bone. 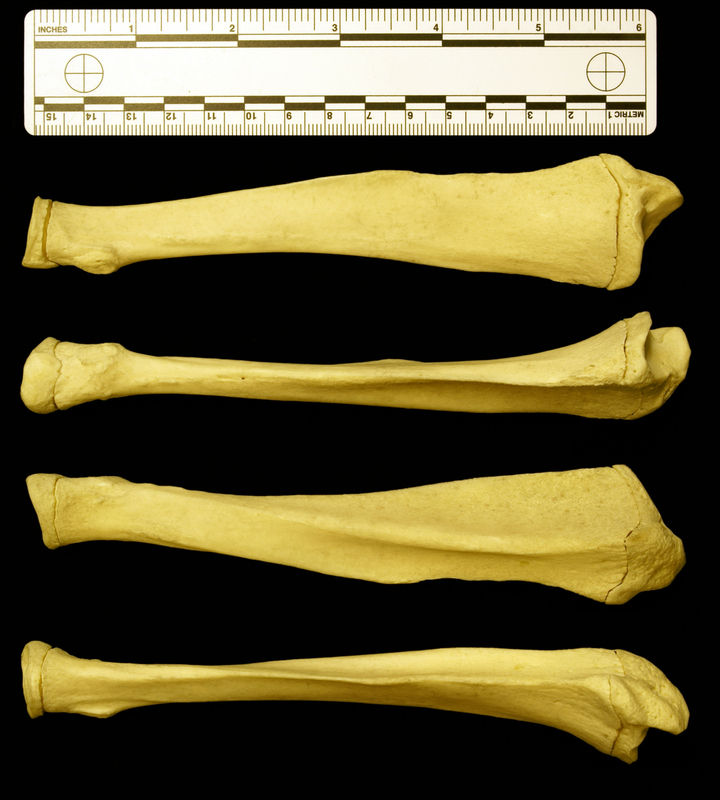 He also noticed that it was a bit of a strange shape, a bit like a tibia, but actually a radius. Barbara Powell suggested that it belonged to an animal built for power rather than speed and henstridgesj suggested one such critter – the Aardvark. Although that wasn’t right, or even close in terms of evolutionary relationships, it was very close from the perspective of functional adaptations. After that it was a short step to the same answer that I decided on when I had to identify this piece of bone. Barabara Powell, henstridgesj and Steven D. Garber, PhD all converged on the answer of Giant Anteater Myrmecophaga tridactyla Linnaeus, 1758. 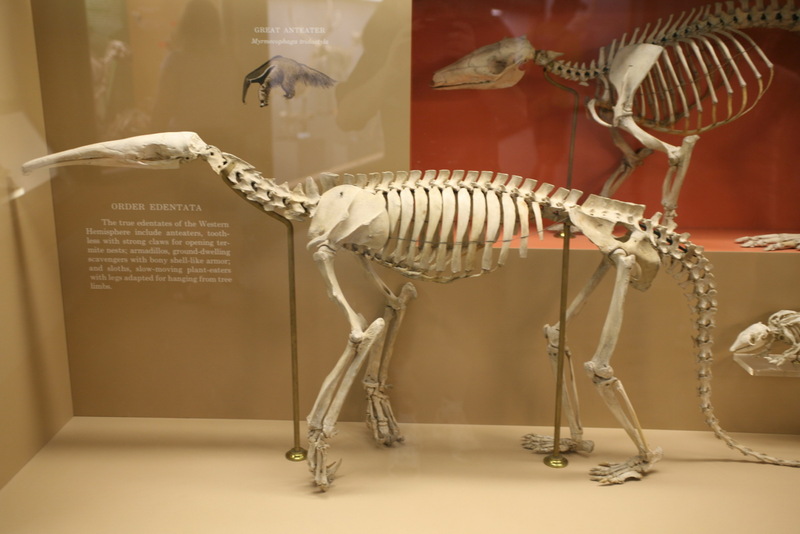 The South American Giant Anteater fills a similar niche to the African Aardvark – both feed mainly on ants and termites and they require powerful forelimbs equipped with big strong claws to do it. One way in which they differ is that Giant Anteaters walk on their knuckles in a similar way to Chimpanzees to keep their claws from being worn down. This unusual locomotion technique requires some interesting adaptations, such as the ridge along the radius that extends into a projection at the end articulating with the wrist (that’s the broad end). This is a bit of a give-away. Giant Anteaters may look cute and bit sleepy, but you wouldn’t want to mess with one! Thank you Paolo for this brilliant website. I look forward to each Friday morning, I am learning so much new stuff. Now I will be checking out some of your archive mysteries to keep me going through the week. Oh the joys of being retired, I just wish I had started years ago. To be honest I have very little detail in my head – I just think of bones as functional units and use basic principles to point me in a research direction to test the ideas that arise. Normally it gets me to a satisfactory answer pretty quickly!